Sorry... the 2017 Lexus RC 350 is no longer being sold as new. Instead, take the first step to a great deal on 2018 Lexus RC 350 with a free price quote! 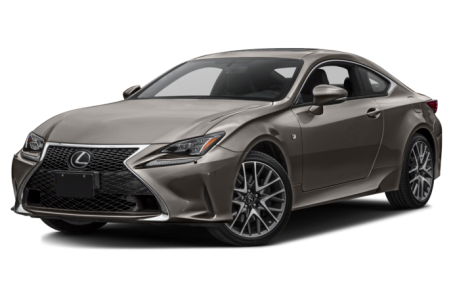 This aggressively styled four-seat coupe debuted for 2015 as the RC 350 with a 306-horsepower, 3.5-liter V-6 engine and a choice of rear- or all-wheel drive. It was another step in Lexus' ongoing effort to attract younger buyers. The various versions of the RC compete with the Audi A5, BMW 4 Series and Cadillac ATS. The high-performance V-8-powered RC F is covered separately in the Cars.com Research section. The base grille has a new black finish and the rear-drive RC 350 now uses Yamaha performance shocks. Triple-beam LED headlights are now available. 3 of 3 (100%) consumers said they would recommend this vehicle to a friend.